Sales are final so no returns are accepted. 4.8 / 5 de 243 votos. Please select your opcions and fill all data for prices and details. We will contact with within 24 hours. Name Email Country Phone What is your relationship with the Customer? Direct Sales Store Shop Distributor What kind of merchandise are you interested? 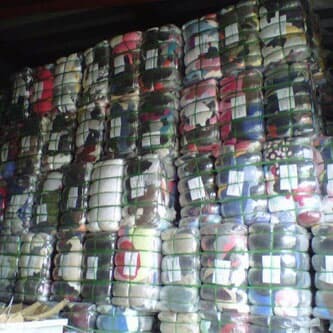 Summer Clothes Winter Clothes Tropical Clothes Children Clothes Underwear Clothes Credential Clothing Medical Uniforms Shoes, Purses & Articles House Hold Rummage Others How Many Bales are You Looking For? What is your average order? 1 bale - 4 bales 5 bale - 10 bales 10 bale - 20 bales Full 20 Feet Container Full 40 Feet Container Looking for a Full Container?